William Fay is a highly experienced criminal defense attorney who has been zealously advocating for clients facing criminal and DWI charges in Burlington County, Camden County, Gloucester County, and throughout Southern New Jersey for years. Before becoming a partner at Proetta & Oliver, Mr. Fay spent his career as an Deputy Attorney General with the New Jersey Office of the Attorney General. During his time at the Attorney General’s Office, Fay handled a vast array of criminal prosecutions from the initial investigation through trial. His extensive experience on both sides of the New Jersey Criminal Justice System has informed the highly effective defenses that he uses to deliver his clients the best possible results. Mr. Fay’s criminal defense practice extends to every level of the criminal justice system in New Jersey, including Federal Court (the United States District Court of New Jersey), Camden County Superior Court and Municipal Courts in all communities within and surrounding Camden County. He frequently defends clients facing charges for simple assault, aggravated assault, possession of a controlled dangerous substance (CDS), driving under the influence (DUI), shoplifting, robbery, unlawful possession of a weapon, and disorderly conduct. Mr. Fay’s primary goal is to employ all of his knowledge, skill, and experience in the pursuit of the best possible outcome for his clients. While understanding that each case is unique, Mr. Fay combs through the evidence and conducts a thorough evaluation of the specific circumstances to develop the most beneficial approach. He works with clients through every phase of the legal process, zealously advocating for their rights and protecting their interests. For a free consultation with New Jersey Criminal Defense Lawyer William C. Fay, contact our office today at 609-832-3202 or fill out our online contact form. 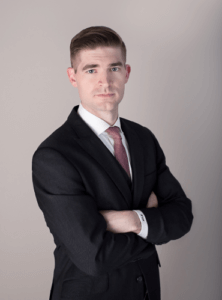 Mr. Fay will discuss the circumstances of your specific case, explain your charges, answer all of your questions, and outline some potential defenses that may be available to have your charges dismissed.